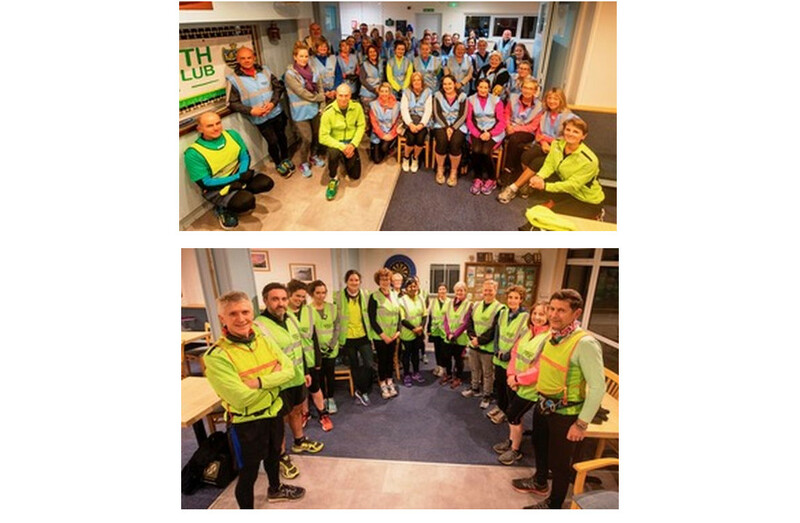 On Wednesday night (9th January), Sidmouth Running Club welcomed in, a whopping 55 new members with 42 joining the beginners group and 13 joining the improvers group. An inspiring speech was given by Chairman Terry Bewes in-which he spoke words of wisdom (something of which he has much), along with words of encouragement (something of which he has even more). There was a brief guide as to what to expect from the club and then group photos were taken. The Beginners group was led by Colin Flood and Claire Ashby with assistance from (myself) Hamish Spence. 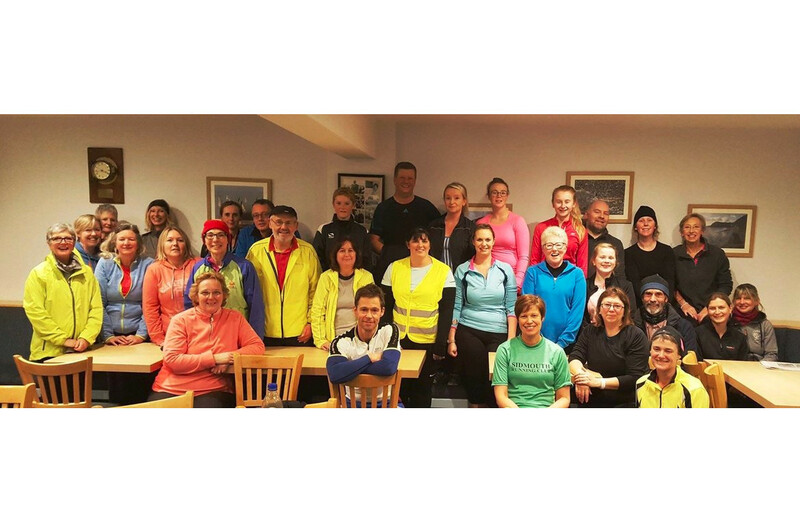 The group set off along the seafront, fast walking the distance of the first two lamp posts and then jogging the distance of the next two. This was repeated all the way to the Manor Road car park. In the car park the group was introduced to an official warm up session and then off again, run walking through the town via the cinema and the Toll House back to Port Royal. Run leader Colin introduced the concept of looping back and this group really took to it. Once all were back the group did three different static stretches. Leading the Improvers group was Head Coach Tim Mitchell with Paul Mitchell. Tim started with a brief about running, how to get back into it and what to be careful about. 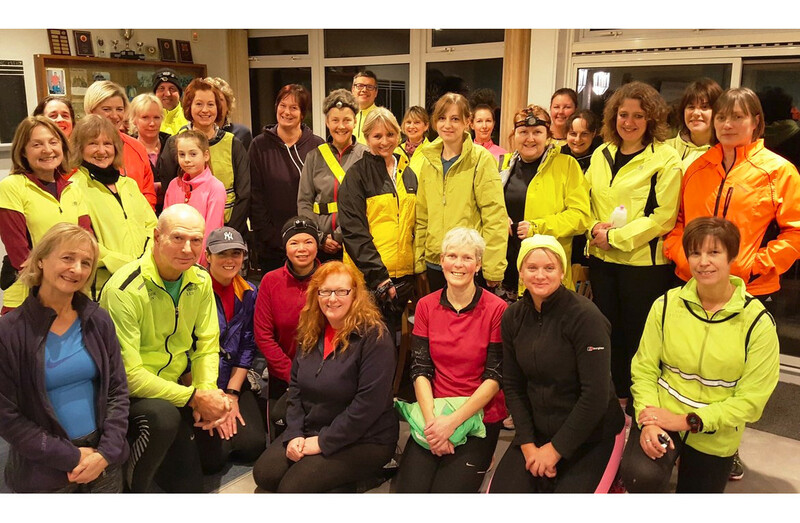 He explained that the aim of this course, was to help those returning to this sport to get back into a regular run and for all to progress with their running abilities. 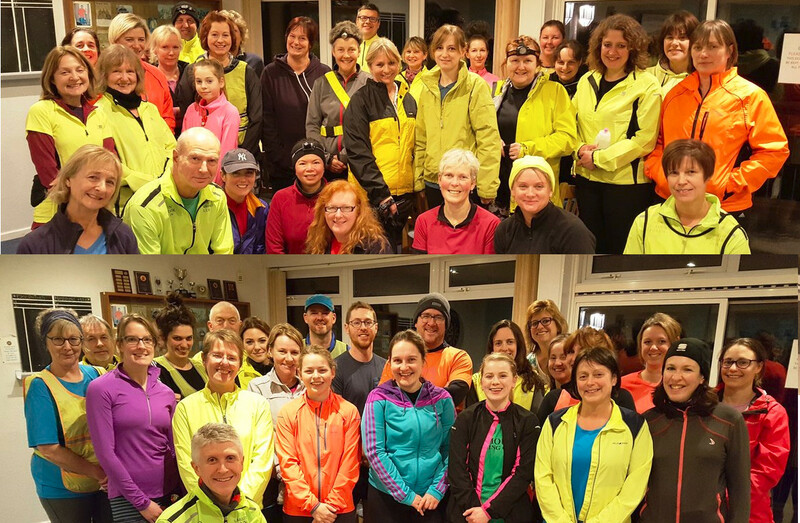 After the brief the group had a steady run along the sea front, into Manor Road, then up the Bickwell Valley, down Knowle Drive and back to the club.